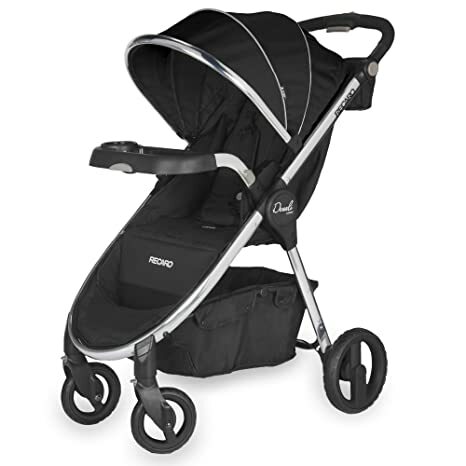 The RECARO performance Denali stroller exemplifies performance in every detail. The performance Denali is designed to fit your active lifestyle. Its built-in accessories and intuitive features deliver the comfort and style you have come to expect from RECARO. The stylish, chrome frame and woven luxe fabrics in luminous color options, harmonize to create a chic look. The performance Denali is as comfortable for you as it is for your child. RECARO pays attention to the details, enabling us to craft the best performance inspired comfort features in our class. The RECARO performance Denali stroller is designed to accommodate the RECARO performance Coupe infant car seat. The adapter for the performance Coupe is built in to the child’s tray on the performance Denali. The 2-in-1 child’s tray connects easily to the stroller and simply flips down to be used as an adapter, adding convenience when you’re on the go. The child’s tray, infant seat adapter and the parent cup holder are all included with the performance Denali. 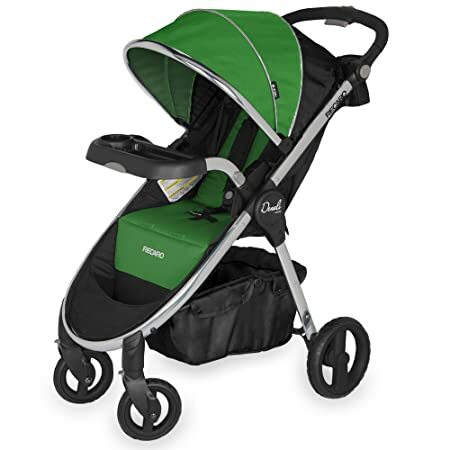 Taking the Performance Denali Stroller to the next level, the Performance Denali Luxury Stroller provides everything you need in one stroller and exemplifies performance in every detail. The Performance Denali Luxury is built to last and is designed to fit your active lifestyle. Its built-in accessories and intuitive features deliver the comfort and style you have come to expect from RECARO. The stylish, chrome frame and woven luxe fabrics in luminous color options, harmonize to create a chic look. Handle Bar – The handle bar on Performance Denali Luxury Stroller can be customized to ensure everyone has a comfortable walking experience, whether they are tall or short. The three position options for the handle bar, combined with the precisely placed brake pedal, allow for extra stride length so you’ll never be kicking the back of the stroller. Wheels -The all-terrain puncture proof rubber wheels on the Performance Denali Luxury Stroller work together perfectly with the all-wheel suspension system to ensure the smoothest of rides. 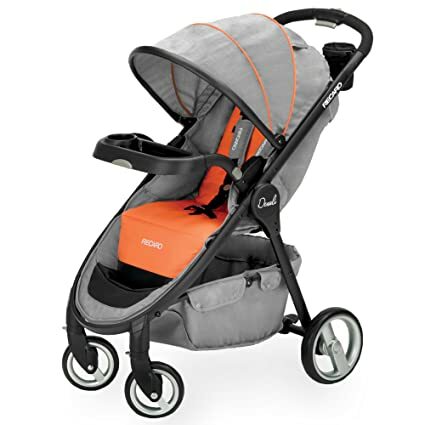 They easily snap into the stroller and the front wheels have a locked setting to prevent swiveling. Lay Flat Recline – The lay flat, full reclining seat back has an infinite strap adjustment that gives your child extra comfort and protection. The included easy to attach soft boot enclosure mimics the comfort and protection of bassinet. Fold – The quick and easy compact fold now comes with an Auto Lock feature that engages automatically for added security and increased convenience. 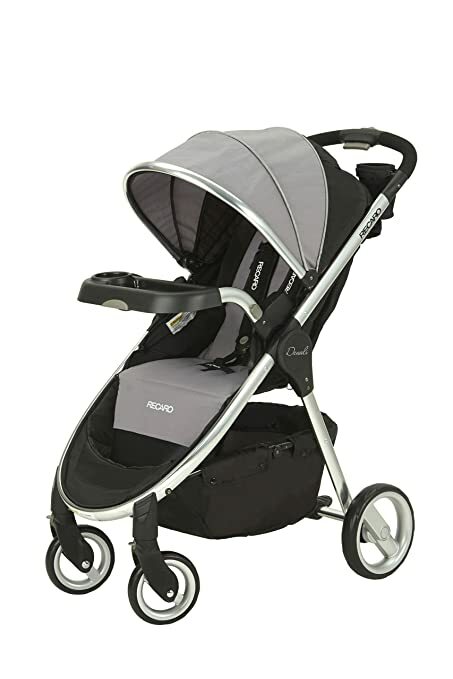 Sturdy, built to last frame; Extra-large, multi-position canopy with UV SPF 50+ protection and a water repellent coating; Mesh parent peekaboo window offers visibility and ventilation; Oversized, easy access storage basket; Pedicure friendly, double push brake; Seat back parent storage pocket; Convenient carry handle;2-in-1 removable child’s tray and QuickSnap Performance Coupe Infant Seat adapter (included); Parent cup holder with elastic mesh pocket (included). 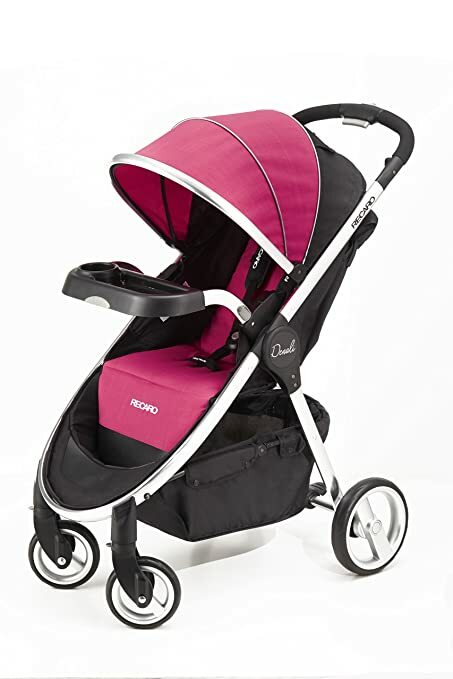 The Performance Denali Stroller exemplifies performance in every detail. It is designed to fit your active lifestyle. Its built-in accessories and intuitive features deliver the comfort and style you have come to expect from Recaro. The stylish frame and woven luxe fabrics in luminous color options harmonize to create a chic look. The Performance Denali is as comfortable for you as it is for your child. Recaro pays attention to the details enabling us to craft the best performance inspired comfort features in our class. The breathable yet protective fabric on the extra-large canopy offers UV SPF 50+ and a water repellent coating to shade your little one from the sun and rain. The parent peekaboo mesh window on the canopy provides ventilation while giving you a convenient view. The oversized easy access storage basket is one of the largest on the market and the included parent cup holder, that can be secured on either side of the push handle, features an elastic mesh pocket. A pedicure friendly, double push brake is quick to engage and prevents shoe scuffs. The easy to fasten wheels have a locked setting to prohibit swiveling and also feature a front and back wheel suspension system. The Performance Denali also features a quick, multi-position recline seat that allows a custom fit for your child. The seat back parent storage pocket creates space to store small items that need to be easily accessible. The intuitive, one hand fold has a locking feature that ensures it is secure when engaged and also while standing on its own when folded. The Recaro Performance Denali is travel system ready with Quick Snap, built-in adapters that required no assembly or extra parts. The adapter for the Performance Coupe is built into the child’s tray on the Performance Denali. The 2-in-1 child’s tray connects easily to the stroller and flips down to be used as an adapter, adding convenience on the go. The child’s tray, infant seat adapters and the parent cup holder are all included. 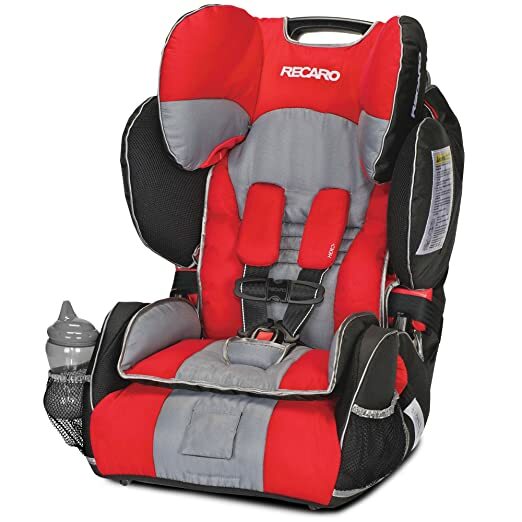 The RECARO Performance BOOSTER grows with your child. The QuickLift 11-poisition head rest, comfort enhancing memory foam, CoolMesh air ventilation and luxurious temperature balancing fabrics ensure maximum comfort and safety for your car trips The Performance BOOSTER features premium push button LATCH connectors and convenient storage pockets. Performance BOOSTER High Back Booster Seat The RECARO Performance BOOSTER is a High Back Belt Positioning Booster Car Seat that offers intelligent design and quality construction for a safe and comfortable ride. It incorporates RECARO Side Impact Protection technology, inspired by four decades of racing seat safety, and holds children from 30 to 120 pounds. Kid-approved comfort features include CoolMesh air ventilation for breathability, side impact protection foam air cushions, luxurious fabrics with an extra-soft seat cushion, comfort enhancing memory foam, cup holders with removable liners for easy cleaning and stylish trim details. The Performance BOOSTER was designed with safety features such as flexible LATCH connectors to secure the booster to your vehicle, racing-inspired Side Impact Protection, energy absorbing EPS foam, a QuickLift, 11-position head restraint and color-coded belt guides.